Shuhei Amamiya son of a famous concert pianist transfers with his mother to a school in the country so his mom can take care of his grandmother. He wants nothing better than to become a famous pianist like his dad. When he's threatened by some of the other boys to play a broken piano in the forest thats said to be played by ghosts or else, he's rescued by the poor as dirt Kai, who claims the piano works since its his piano. 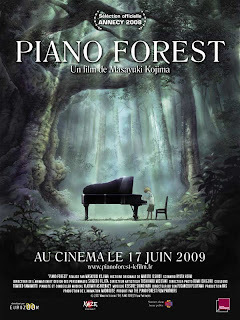 When Kai takes his new friend to see his piano, Amamiya finds that the piano does work, and his friend is a great, though completely untrained, pianist in his own right. Magical story of following your heart and finding ones "piano". This is a story for anyone who's ever tried to be good at something but found it difficult, anyone who's found it easy and the magic of friendship. When the film started I wasn't sure this was going to be anything special, then the kids began to talk like kids and the pure joy and love of music was expressed and the film started to become something special. These are real people trying to get along in life, and deal with school, friendship and a competition where one has to wonder is being technically perfect when other people feel things so much more. I don't know what to say... its a really good film. It makes you feel good. Its not perfect but you really won't care. For a good chunk of it the film didn't need to be animated until things become magic and take off..
You really want to see this if for no other reason you'll find out why Kai became Wendy to the confusion of a good number of people. 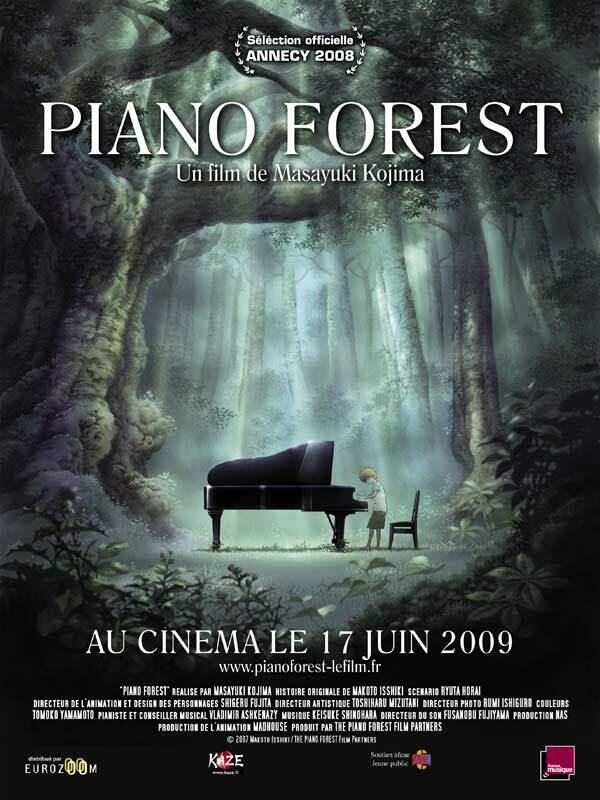 This film needs a wide release so lots of people can find their own piano.